Maggie Dabe's report from the east coast. 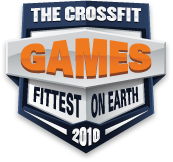 Maggie Dabe of Crossfit Fairfax checks in with the following report on the WV, VA & DC Sectional. Detailed explanation of the weekend happenings.